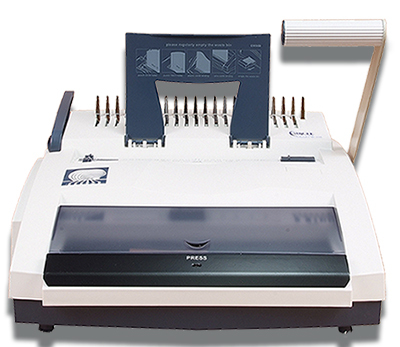 The SircleBind CW-350 3:1 wire and plastic comb binding machine is the manual version of the CW-4500 binding machine. Like its counterpart, the CW-350 offers dual punching patterns to accommodate for both wire and comb binding as well as easy-to-use built-in guides for simple and seamless paper alignment and wire closing. It also features a built-in wire hanger which allows for less hassle and greater efficiency. Machine Dimensions: 18" x 17.5" x 9"
Your shopping cart will appear here after you select any item and click on an "ADD TO CART" button..